For years, engineers have talked about using power lines to transmit broadband and today, AT&T; unveiled something it's calling Project AirGig, a technology solution that could deliver low-cost, multi-gigabit wireless internet using power lines. If successful, AirGig could bring high-speed broadband to rural areas that are still relying on dial-up internet services. The process, developed by AT&T; Labs, is easier and cheaper to deploy than fiber optic cable, uses license-free spectrum space, and can deliver wireless connectivity to any home or handheld device, AT&T; said. Field trials are expected to begin in 2017. Verizon has also said it is developing wireless 5G technology and plans a "slow commercial roll-out" in 2017. Both Verizon and AT&T; are thought to have stepped up their development of wireless broadband transmission after Google rolled out its 1-gigabit fiber network in Kansas City, Austin, and elsewhere. Google, meanwhile, has slowed its deployment schedule. There has been speculation that Google's stategic goal with Google Fiber was to spur competitors to jack up their efforts, since Google's advertising business benefits from ultra-speed broadband no matter who builds it. AT&T; said it has more than 100 patents or patent applications supporting the new technology and said Project AirGig is "unlike anything that’s out there." "We’re experimenting with multiple ways to send a modulated radio signal around or near medium-voltage power lines. 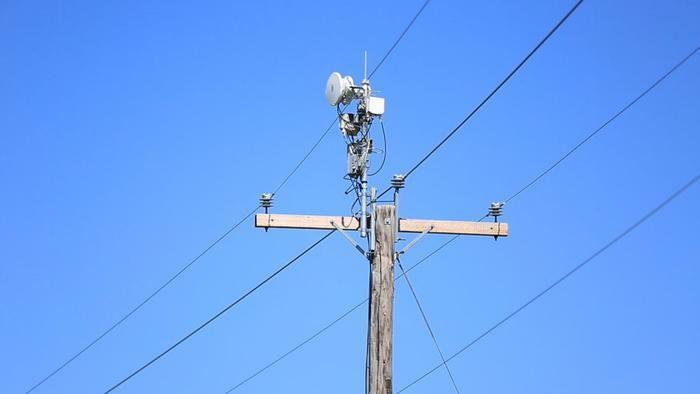 There’s no direct electrical connection to the power line required and it has the potential of multi-gigabit speeds in urban, rural and underserved parts of the world," AT&T; said in a press release. "Project AirGig delivers this last-mile access without any new fiber-to-the-home and it is flexible enough to be configured with small cells or distributed antenna systems. No need to build new towers. No need to bury new cables in the ground." As part of the project, AT&T; Labs developed inexpensive plastic antennas that can be installed along power lines to regenerate signals, an approach thought to be unique in the industry. Project AirGig can also be a benefit to utility companies. It could enable and expand a variety of smart-grid applications. It could also allow for early detection of line integrity issues, such as encroaching tree branches, AT&T; said.